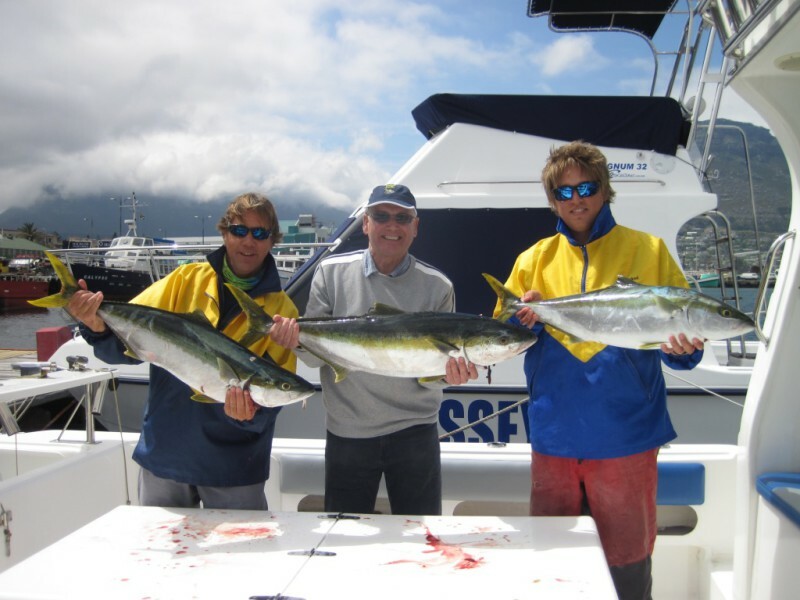 Recreational fishing is a relaxing activity suited to groups and single participants, and there are havens around South Africa dedicated to the growing sport, based on sustainability. We chatted to a range of experts for their best fishing spots and tips. Two fishermen cast their lines in silence on a crisp morning along the Breede River, accompanied only by a chorus of birdsong rising with the sun. Conversation is limited to ‘please’ and ‘thank you’, over steaming enamel mugs of coffee. To be one with nature, whether successful with a catch or not, seems to be the allure of many recreational fishermen (and women). The Marine Living Resources Act was promulgated in 1998 to protect local marine life and in 2000, an emergency was declared in the commercial fishing industry in South Africa. The repercussions of depleted ocean life have been widespread and recreational fishermen should be well aware of the measures they must take. Our national fish, the galjoen is on the Southern African Sustainable Seafood Initiative’s (SASSI) red list, which means it is endangered, and illegal to fish for sale according to the Marine Living Resources Act. Even those caught by recreational fishermen must adhere to strict bag limits. While we have over 2200 salt-water fish species in South Africa, their numbers have come under enormous threat over the years. All recreational fishing requires a license, and a ‘catch size and bag limit’ must be adhered to. The license and information on the limits are available at post offices around the country. 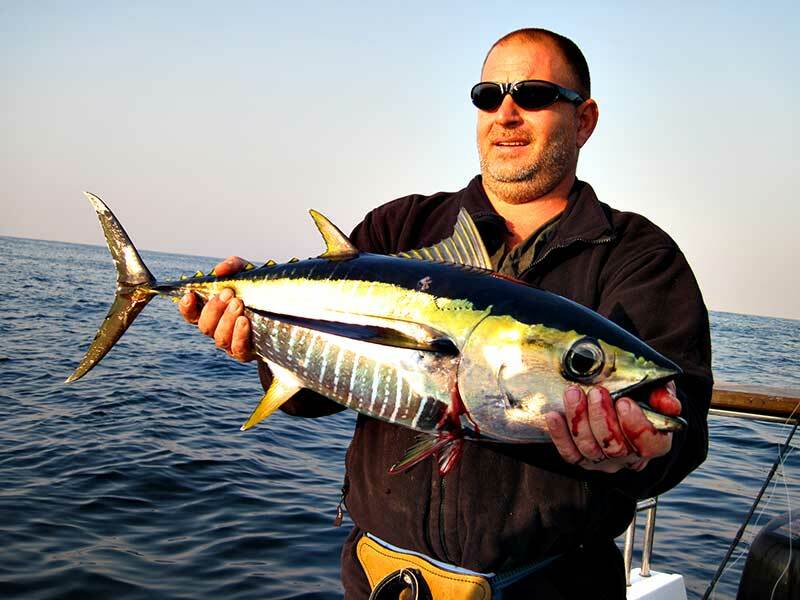 Mike Laubscher, owner of Blue Water Charters was one of the first fishing charters to encourage catch and release in the Durban area. “It’s about conservation. I have a strict release policy with certain fish like marlin and bull fish. Just look at the state of the kingfish!” he says. Alan Blacklaws who owns Cape Boat Charters, an eco-friendly recreational fishing company says that sometimes clients are difficult and don’t want to comply with the catch and release policy. Whether you’re new or old to the sport, you should be asking the charter company questions about their policies, and you should uphold the rules for private fishing trips too. “If they can’t answer then they might not be following best practices,” says Linda Markovina, of Moving Sushi, a marine conservation project. 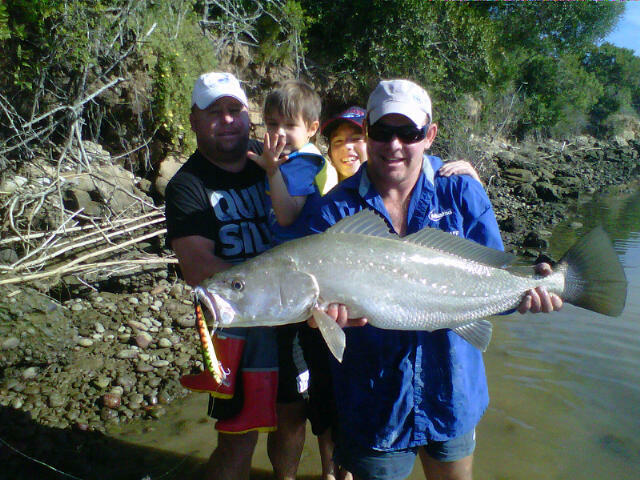 Snoek, known to put up a mighty fight, is a popular fish that charter boats take guests out to catch in the Cape. A half-day expedition will leave from Hout Bay or Simon’s Town and cost between R6500 to R8000 for a maximum of eight people. Alcock’s other pick would be the Transkei. “Transkei is one of the most beautiful places for people like myself who like exploring and untamed wilderness,” he says. 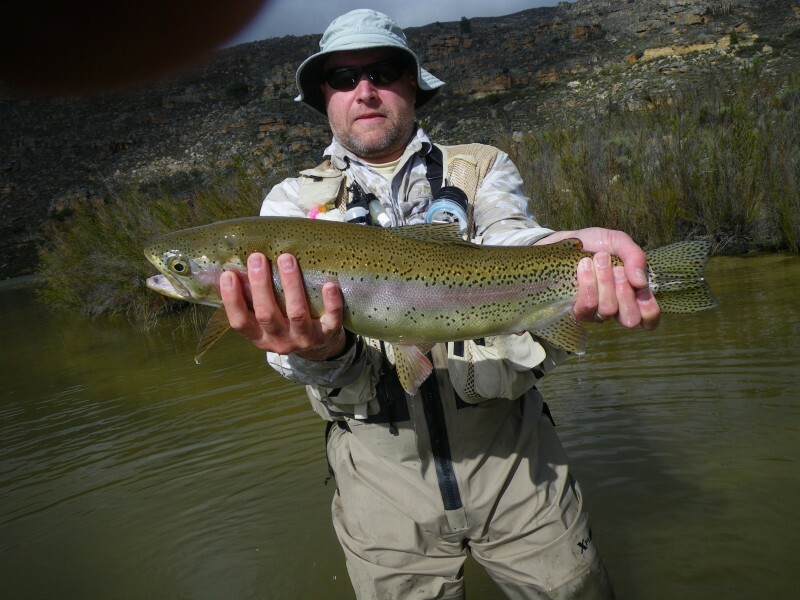 Thom’s favourite fly-fishing spots include the peaceful Cape Infanta at the Breede River mouth. “There’s something to fish for at any given tide,” he says. If you’re after breath-taking surroundings, Thom says the Lower Orange River and Richtersveld, away from the crowds, are great options. 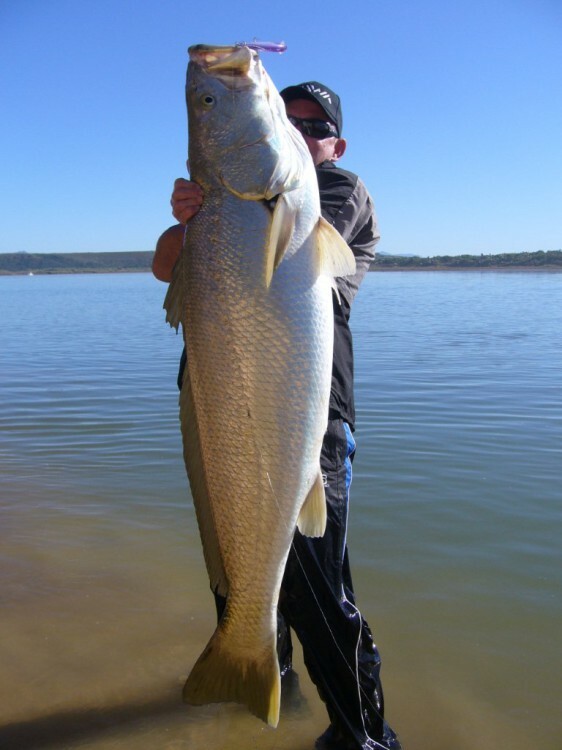 Sterkfontein Dam is well known in terms of quality of fishing- crystal clear water and golden hued yellowfish add an aesthetic enjoyment to the activity. For families who like camping, the Gamtoos River, outside Port Elizabeth is ideal. “In the winter months you get massive shoals of cob coming into the river. We’ve been catching and releasing these fish over 20 years and have seen the cob numbers grow,” says Alcock. Family chalets, on mangrove-lined estuary, along the ocean. Camping facilities. Note: The fishing is better further upstream. Luxury self-catering, with option of private chef. Fully serviced stone cottages on a lake. Only fly-fishing allowed, available all year. Along the roadside on the West Coast, you will find lines of dry, strong smelling fish for sale. Bokkoms are a food source akin to biltong. 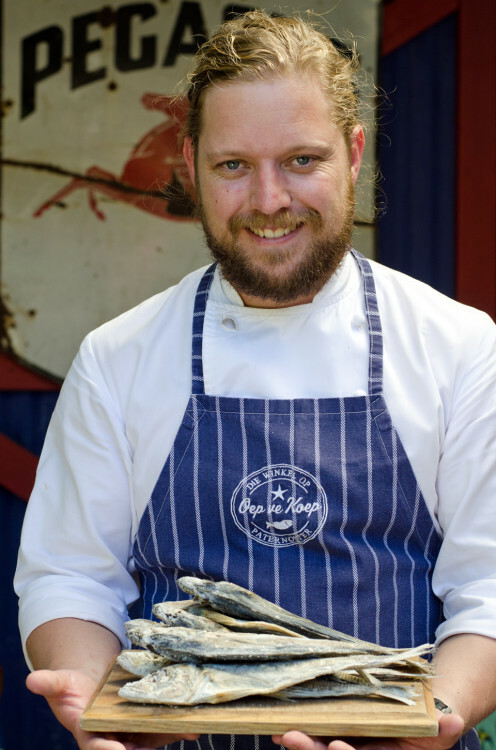 In Paternoster, chef Kobus van der Merwe who runs the popular Oep ve Koep restaurant is creating a quiet revolution with his food philosophy. 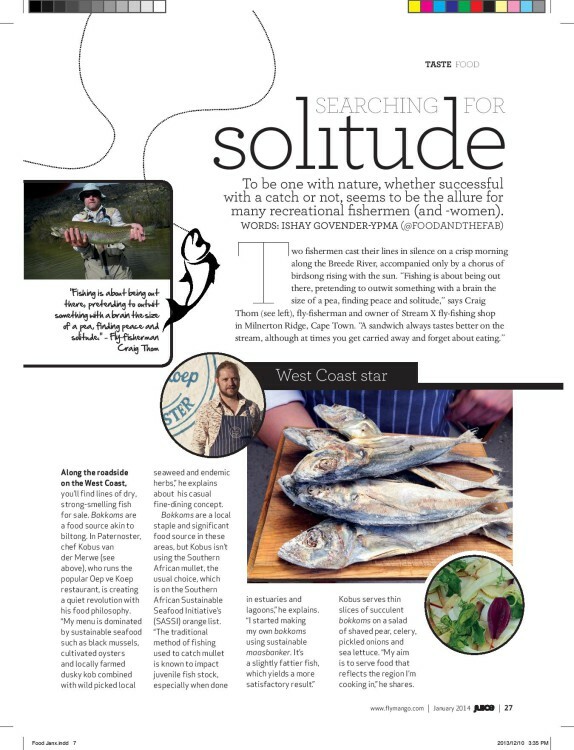 “My menu is dominated by sustainable seafood such as black mussels, cultivated oysters, locally farmed dusky kob, combined with wild picked local seaweeds and endemic herbs,” he explains of his casual fine dining concept. 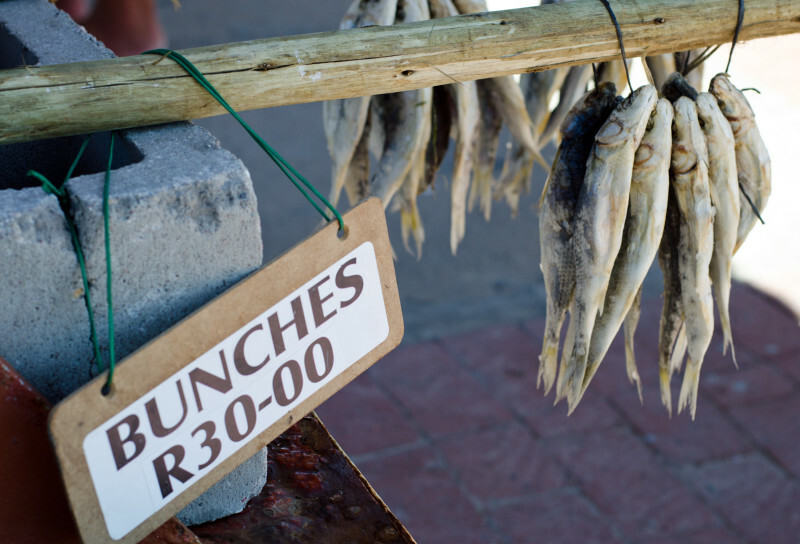 Bokkoms are a local staple and significant food source in these areas, but van der Merwe isn’t using the southern African mullet or harder, the usual choice, which is on the SASSI orange list. “The traditional method of beach seine fishing used to catch harder is known to impact on juvenile fish stock, especially when done in estuaries and lagoons,” he explains. Van der Merwe serves thin slices of succulent bokkoms on a salad of shaved pear, celery, pickled onions and sea lettuce. “My aim is to serve food that speaks of the unique region that I am cooking in. It also changes seasonally to reflect the changes in the West Coast landscape,” he shares. 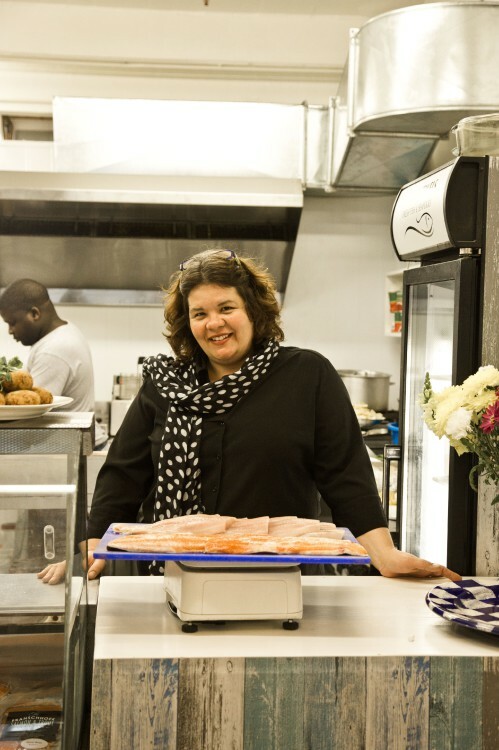 Carter started selling fish at markets and opened her deli, Ocean Jewels in Woodstock, Cape Town in November 2012. “I prepare, sell and cook fish at the deli. It’s a great way to interact with customers and encourage people who are fearful of cooking with fish, “ says Carter. Melt butter. Add lemon, jam and seasoning and heat until the jam has melted. Once the mixture is cool add the egg and mix. Baste the fish frequently as you braai it, with this mixture. Hi Ishay… Just to be pedantic, the Galjoen isn’t banned for fishing – it’s a “no sale” species. You are allowed to fish for it, but only for recreation/own consumption (and obviously within bag limits). 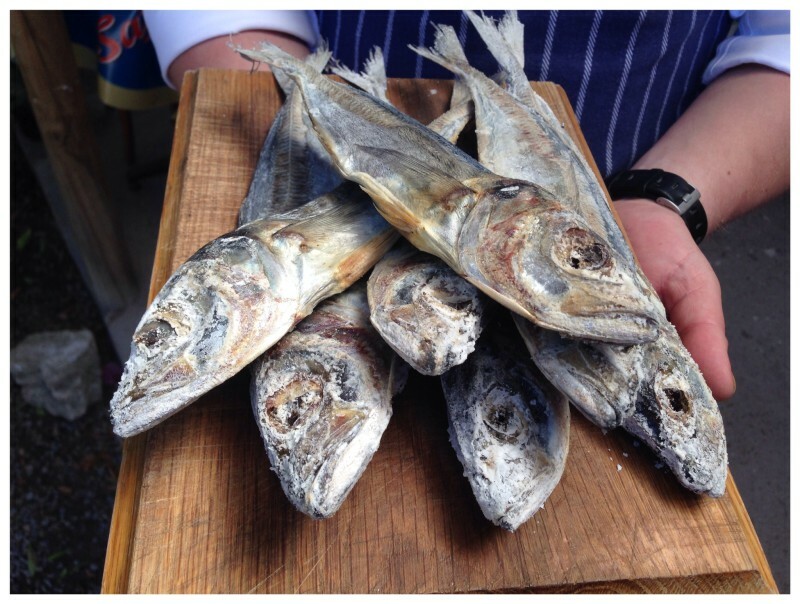 Fishermen at Bailey’s Cottage and Kalk Bay occasionally bag galjoen. Hi Richard. You are correct, and I will amend this, thank you. But this is where it gets really tricky and I am not convinced that these red list species, kingfish included are not sold or caught within the restrictions of the bag limits. A sorry state of affairs. Incredible article, Ishay! We’ve just moved to Cape Town and I started exploring our seafood options to cook at home. This article was very helpful and educational, thank you!